1. 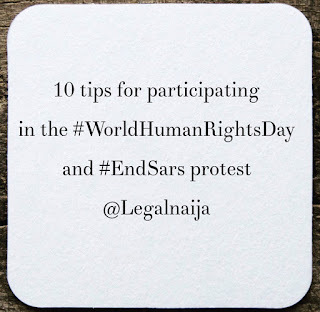 Know the law - no Nigerian law requires a police permit before one can participate in a protest. 2. Dress appropriately- wear comfortable shoes & clothes to cover your skin. 3. Charge your phones - for communication & recording incidents of police brutality against protesters. 4. Make bold and legible signs on cardboard indicating your protest message. 5. Tell a friend whose not going of your location and have them check in on you at intervals. 6. Write an emergency contact number on your person. 7. 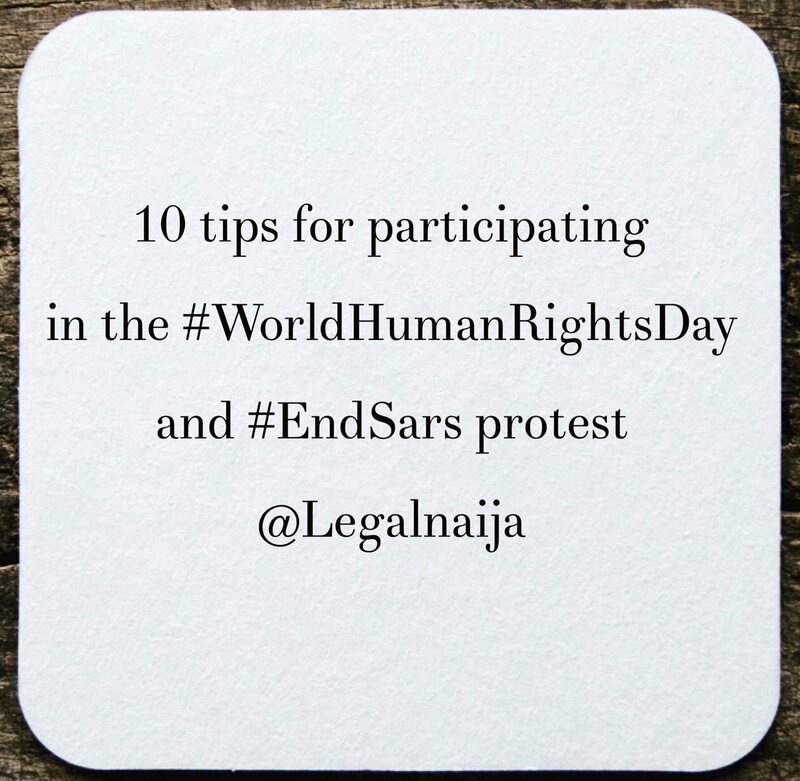 Don't allow thugs hijack your protest, it’s the only excuse given by Nigerian police when breaking up a protest. 8. Don’t act unruly or attack police officers. 9. Share your experience via a hashtag, social media or blog post. 10. Plan your exit in case violence erupts.